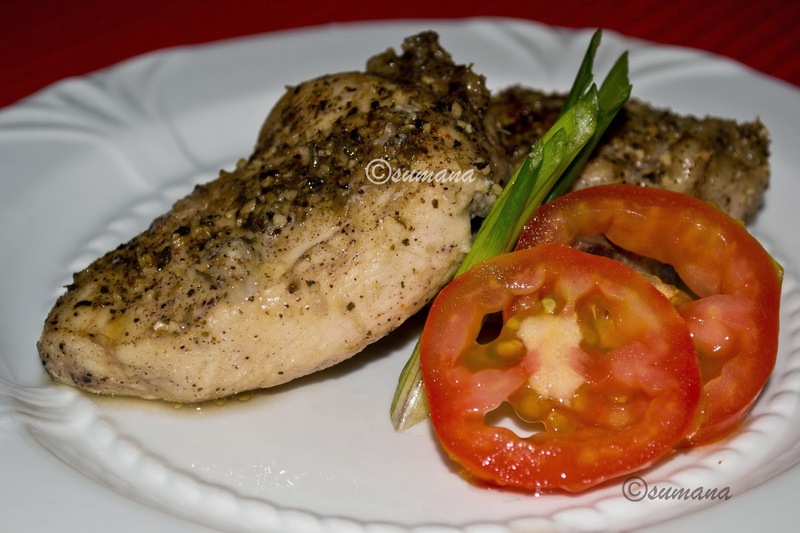 This baked chicken recipe is one of the easiest chicken recipe to learn. The best thing is you can just put the ingredients in the baking dish and place it in oven and you are done. You can now do your other work at hand or just relax. Take it out when you hear the finishing sound from your oven. Marinate chicken with lemon juice, black pepper powder, garlic paste and salt and keep it for 15-20 minutes. Then place the chicken in a baking dish and sprinkle some dry parsley and butter. Now bake it in 180c for 20 minutes.